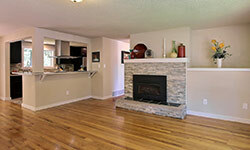 Searching for a general contractor in Seattle you can trust? You’ve come to the right place. 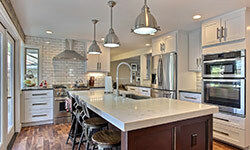 Braveheart Construction & Remodel, Inc. is a premier general contractor in the greater Puget Sound area. We specialize in residential, commercial and ADA accessibility work. 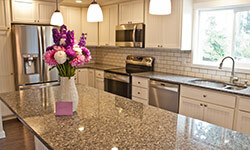 Our company has been providing exemplary service to homeowners and businesses from Seattle to Tacoma since 2006. Our company is family owned and operated. We’ve been in business for 11 years and are based out of Washington but have performed work in neighboring states. As owners of the company, we work closely with our crews to provide hands-on service with all of our customers. 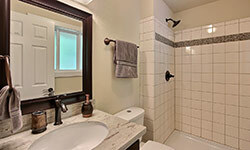 We do all work per the manufacturer's recommendations and as a general contractor, handle all aspects of the job. We look forward to the opportunity to work with you! Use a contractor that makes you smile. We know how stressful home and tenant improvements can be, which is why we have a 4-step process. We pride ourselves on providing quality, personalized service to all customers and it starts with listening to your ideas. A detailed estimate will be provided with a general description and itemized categories for labor and materials for all of the work discussed during the consultation. Follow up on the estimate will take place on the phone to determine if any changes or clarifications are necessary. If it’s agreeable, a contract will be provided. Once the contract has been signed, a deposit will be collected. Our payment practice is to collect 50% prior to work beginning and the final 50% upon completion of the contract but we are more than willing to accommodate you if a different payment plan is needed. Braveheart completed the job early, on budget and with precision and quality. The crew was a pleasure to have around. Brandon and his crew listened to all of the crazy ideas on my wish list and gave me an end product that exceeded any and all expectations I had. Fantastic job! Braveheart’s efficient team was exceptional-arriving on time, paying attention to details, listening to me and my ideas throughout, asking questions to ensure accuracy and always putting emphasis on my satisfaction. They were dependable, thorough, polite, considerate, self-sufficient, prepared and each team member displayed great work ethic.